When you get to a point in life and need the services of a wealth manager or financial advisor in Los Angeles, you don’t want to just pick the first one that comes up in a Google search. Finding the best LA financial planner for your needs takes some dedication and in-depth research. You’ll find several key differences between the wealth management firms in Los Angeles, California, including the type of clientele they serve (high-net-worth, all income levels, retirees, etc.) or they specialize in some other client niches, and how their fees are handled. Whether you’re looking towards retirement planning, just starting out with investing, or want to make sure your assets can weather the rollercoaster of Wall Street, the choice you make in a wealth management partner can have a long-lasting impact on your financial future. Learning the most you can about a potential financial advisor will help you make a more informed choice. However, doing all the legwork on the research yourself can take hours. That’s why we’ve worked to make your search for the perfect financial advisor in Los Angeles easier. AdvisoryHQ researches the best of the best every year and puts together comprehensive lists of the top financial advisors and wealth management firms in Los Angeles and other cities in the US and UK. We highlight reasons they’ve been chosen as top-rated wealth management firms, what makes each firm stand out, the type of clients they serve, and much more. Have you been wondering who the best financial advisors in Los Angeles are? Below, you’ll find a detailed review of each firm that’s worth to consider partnering with this year. 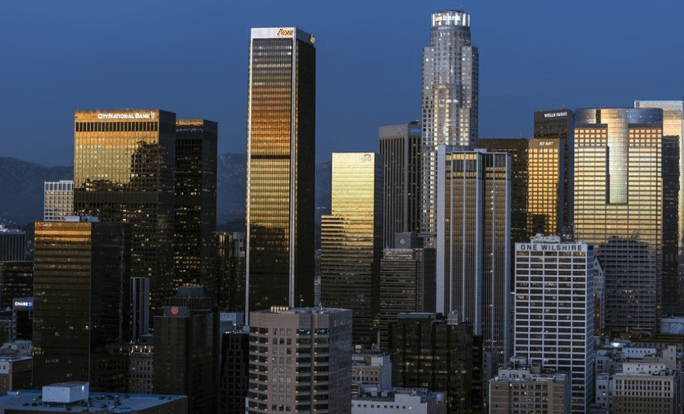 What’s the Difference Between Fee-Based and Fee-Only Financial Management Firms in Los Angeles? Unless you’re familiar with those two terms, it can be confusing to know exactly what the difference is, but it’s a very important distinction and one that could make all the difference in your choice of wealth management firm in Los Angeles, CA. If an LA financial advisor says they are fee-only, that means that they are only paid by client fees and do not accept any commissions from third parties for selling or recommending financial products. This adds an extra layer of trust in the financial advisor and client relationship because it minimizes any potential conflict of interest and frees them to fully act in the best interest of their clients. If you’re working with a fee-only financial planner in Los Angeles, you won’t have to wonder if they’re recommending a particular investment because of a potential commission. Financial firms that are fee-based receive some of their compensation from client fees but also are free to accept third-party commissions from companies providing financial products. Being fee-based can create a conflict of interest or at least that perception, which is why there are fee-based firms that are also fiduciaries, which helps balance their fee-based status. A fiduciary Los Angeles financial planner is legally obligated to fully disclose any conflicts of interest, be completely transparent, and put the interests of their clients ahead of their own. Below, please find the detailed review of each firm on our 2019 list of the best financial planners in Los Angeles. We have highlighted some of the factors that allowed these Los Angeles wealth management firms to score so high in our selection ranking. Abacus Wealth Partners began with a vision to be a catalyst for people to not simply get richer but to live a more fulfilling life. That vision has helped the company grow to seven locations in California and serve clients in 42 states, including the District of Columbia. As a top-rated Los Angeles financial advisor, Abacus provides comprehensive wealth and investment management as a fee-only Los Angeles wealth management firm. This LA financial planner also has a fiduciary commitment to their clients. They serve all types of financial needs, from clients needing help with budgeting for college or retirement savings to those with needs related to intergenerational wealth transfer, philanthropy or business ownership. 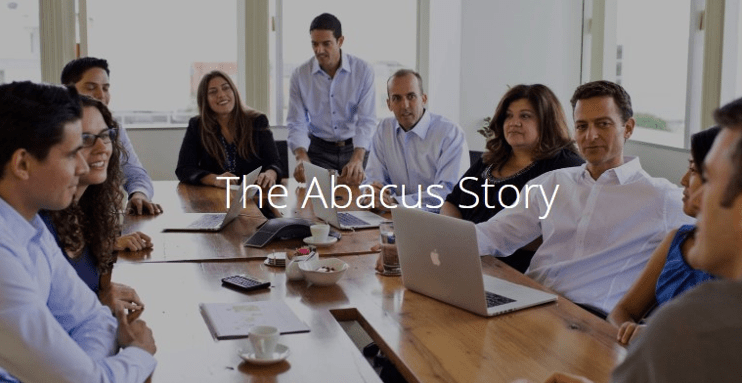 Abacus is comprised of 31 financial advisors to handle all your financial planning needs, each well-rounded and committed to making the world a better place as part of this LA financial management company’s team. 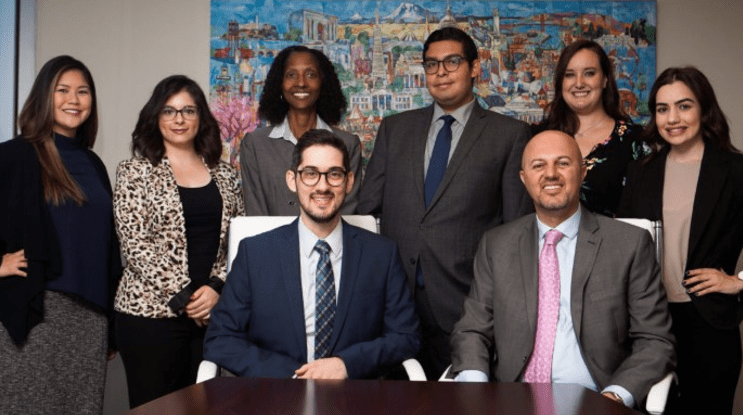 If you like to know the wealth manager that you’re working with a bit better, then you’ll like the fact that each member of this team of dedicated Los Angeles financial advisors has their own personal story and reason they decided to pursue a career in this area. You can read through them all on their website and get an up close and personal look at each advisor. Abacus believes that financial plans need to be flexible enough to handle many of life’s expected and unexpected changes. This wealth management firm in Los Angeles uses a financial planning process that prioritizes a client’s most important questions first – planning a roadmap to financial success. Whether it’s risks or opportunities, this LA financial advisory firm ensures your plan can evolve and is there to call on to quickly address changing financial situations. By being both an independent fiduciary and fee-only Los Angeles wealth management firm, Abacus provides trust and value to their clients. They also go above and beyond financial planning and investment management by emphasizing financial education, offering educational events, keynote speeches, free financial check-ups, and access to published research. All of which empower their clients to learn more about factors that impact their financial future. With a firm dedication to making the world a better place and a commitment to serving the best needs of their clients, Abacus Wealth Partners earns a 5-star rating as one of the top Los Angeles financial advisors. ACap Advisors & Accountants, a combination of ACap Asset Management, Inc. and ACap Accounting Services, Inc., was founded in 2009. This fee-only financial firm is a boutique wealth management firm in Los Angeles and a full-service accounting firm. Their team of Los Angeles financial advisors is committed to providing unbiased and comprehensive financial guidance that is specifically tailored to those in the healthcare industry. This independent firm believes in sound investment philosophy that doesn’t speculate, but rather is focused on achieving a healthy rate of return for their clients. Some investors appreciate the opportunity to invest and better their community at the same time. ACap is a Los Angeles financial advisory firm that understands socially responsible investing and offers this as a service. Clients who wish to use their wealth and investment strategy to make a positive contribution to their communities and the world at large can work with these financial advisors in Los Angeles to create a customized portfolio, designed with their core values in mind. Accounting is a big part of managing finances, and for those investors who would like some assistance in this area, this financial advisory firm in Los Angeles, CA can handle your bookkeeping for you. ACap Advisors & Accountants can set up, manage, and maintain your QuickBooks Online file, handling all entries and monthly reconciliations for both your bank and credit card statements. If you have employees on a payroll, this Los Angeles wealth management firm can also handle this area. Taking care of processing and tracking all relevant payroll data and submitting federal and state tax payments. For medical professionals or for those working in the healthcare industry, ACap provides excellent value for both financial advisory services and accounting services. Their competitive rates and depth of services help clients save both time and money. The combination of a boutique focus, fee-only structure, and commitment to serve their clients above all else, earn ACap Advisors & Accountants a full 5-star rating as a top Los Angeles financial advisor. With a team of “mavericks” and over 20 years of experience breaking the mold, AdvicePeriod has a history of pioneering the field of Los Angeles wealth management. AdvicePeriod is located in Los Angeles with 26 advisors and 13 offices across 10 states. This LA financial advisory firm serves all levels of clients and has no minimum relationship requirement. The firm does not explicitly say whether it is a fee-only or fee-based wealth management firm in Los Angeles, however, it is a fiduciary. The firm describes their compensation structure in detail in the firm’s ADV, stating that “AdvicePeriod only receives compensation—in any form—from its clients,” and that it is committed to minimizing potential conflicts of interest. So, they are likely a fee-only financial advisor in Los Angeles. It’s a good idea for readers to always verify a firm’s compensation structure before starting a working relationship with a wealth management firm in Los Angeles, or anywhere else. Priding themselves on always innovating and being a change-maker for industry standards, AdvicePeriod stands as a true fiduciary. This Los Angeles wealth management firm has always adopted a stance of putting the client’s interest first and being proactive with financial planning advice. Many of the approaches they championed in their early years have now been adopted as best practices across the industry. Its team of financial advisors in Los Angeles holds itself to a standard of conduct which is centered on trust and the best interests of the client. With a spirit of being a trailblazer instead of a follower and an intense focus on building a proper foundation for each client’s financial plan, AdvicePeriod is one of the top financial advisors in Los Angeles that works to proactively manage their clients’ wealth. They have a number of industry accolades and serve clients in all phases of life, with their “break-the-mold” style of financial advisory services and believe in complete fee transparency. It’s also worth mentioning that new clients will find their website both welcoming and easy-to-navigate, with explanations of their services, philosophies, and industry standards in an easy, conversational format, solidifying the firm’s 5-star rating. With a team of 175 and a focus on delivering long-term, consistent wealth management services, Aspiriant is a fee-only financial advisor in Los Angeles. They pride themselves on delivering powerful, far-sighted, and intelligent customized financial planning advice to each client. As a top financial advisor in Los Angeles, Aspiriant is focused on attracting the best advisor talent, cultivating a strong workplace culture, perfecting the client experience, and eliminating all conflicts of interest. Los Angeles financial advisors at Aspiriant can help you craft a strategy that allows you to work purposefully and diligently toward that early retirement, that loan-free education for your children, or that trip around the world and fulfill life-long financial dreams, without risking your financial present. Is it financially feasible for me to leave my lucrative career and pursue my passions? If I live past 100 will I have enough income for my long life? How can I mitigate my tax losses? How should I organize my estate and plan for wealth transfer to the next generation? Aspiriant’s family office services are designed to make the overwhelming become simple and streamlined. The Los Angeles financial advisors at Aspiriant working in the family office area number 35, and are experts in all areas of financial planning, such as tax, estate, retirement, investments, bill pay, real estate, philanthropy, and budgeting. Compared to other top-rated Los Angeles financial planners, Aspiriant stands out for their client-centric approach. The goal of making investment and wealth planning easy, and their commitment to forming long-term relationships with their clients and helping them with every step of their financial lives. The firm with coast-to-coast offices also has a unique sense of approachability, a user-friendly website and down-to-earth explanations of their services and value propositions. This all makes Aspiriant a great choice for clients who are hiring a Los Angeles financial advisor for the first time. EP Wealth Advisors is a Los Angeles top financial advisor that serves clients throughout the region. They operate in seven locations in California, two in Colorado, and one in Washington state. EP believes in a full-bodied approach to wealth management that looks beyond only portfolio performance and also includes other important pieces of the financial puzzle like mortgages, insurance, taxes, and more. EP Wealth Advisors is a fee-only firm that is also a fiduciary with a legal obligation to put their clients’ best interests above all else. Championing a formerly underserved segment when it comes to financial planning, EP Wealth Advisors started their “Investing in Women” initiative to provide women, who often outlive their male counterparts, with the right tools and pathways to grow their careers. It can get overwhelming first working with a financial advisory firm in Los Angeles, so EP Wealth Advisors works to simplify the process into four steps that are easy for clients to digest. 1. They start with Simplify, which is the consolidation of all your financial documentation into one place. 2. Next is Integrate, where they evaluate your current financial situation from a big-picture perspective. 3. After that is Forecast, where you’ll receive a financial probability analysis in relation to your goals. 4. The last step is Prioritize, at which point you’ll be given a recommendation on how to best achieve your financial goals. 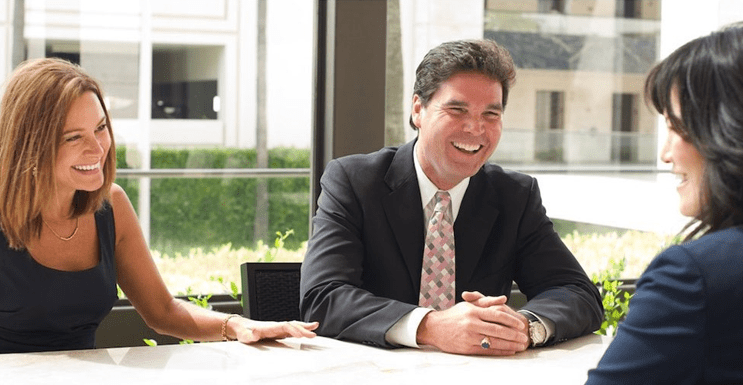 With a large team spanning three states and an easy-to-follow integrated approach to wealth management, EP Wealth Advisors is a top financial advisor in Los Angeles. Their commitment to the client as a fiduciary and fee-only firm, garner trust that they have no conflicts of interest. Their “Investing in Women” initiative sets this top Los Angeles wealth management firm apart as a leader in their industry and one that takes a proactive approach to make their community better and more inclusive. We are pleased to welcome this top LA financial firm to our ranking this year. 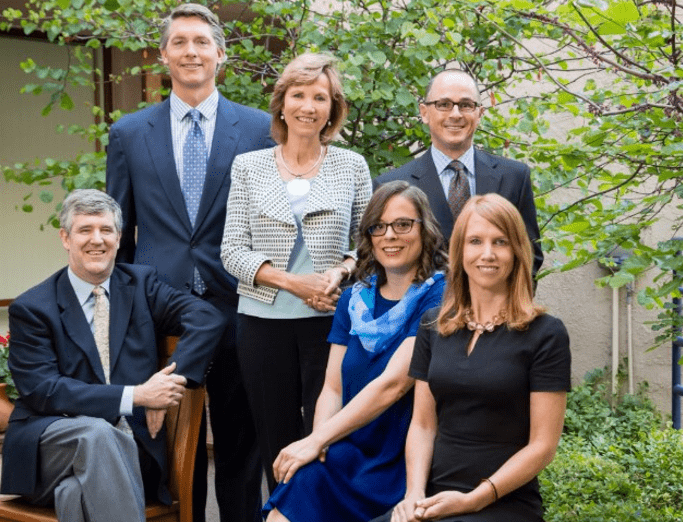 Their dedication to their clients and to making their industry better have earned EP Wealth Advisors a 5-star rating in 2019. Harris Financial Advisors is an independent, fee-based wealth management firm that has been assisting clients with financial planning since 1992 from their Torrance, California location. They work on the principle that the cornerstones of any meaningful partnership are collaboration, transparency, trust, and education. They have a commitment to empowering their clients to make informed life decisions for a sound financial future. 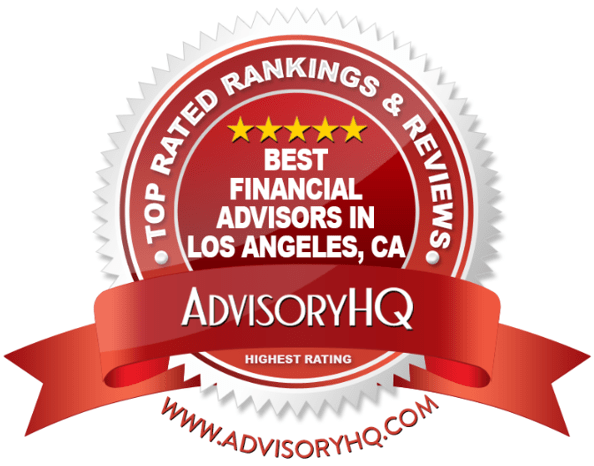 While AdvisoryHQ prefers to rank fee-only advisors, the strong commitment to transparency and the fact they hold a fiduciary duty are factors that caused us to include Harris Financial Advisors as one of the top financial planners in Los Angeles. As times have changed, so have the financial management needs of women. Today’s women are accomplishing more than ever, earning higher salaries, advanced degrees, and becoming household breadwinners and their wealth management should match those new norms. It is worth noting that this focus on providing expert financial services for women is no accident—the firm was founded by Mary Harris, CFP®, a single mom of two children that recognized the need for financial education and empowerment for women decades ago. 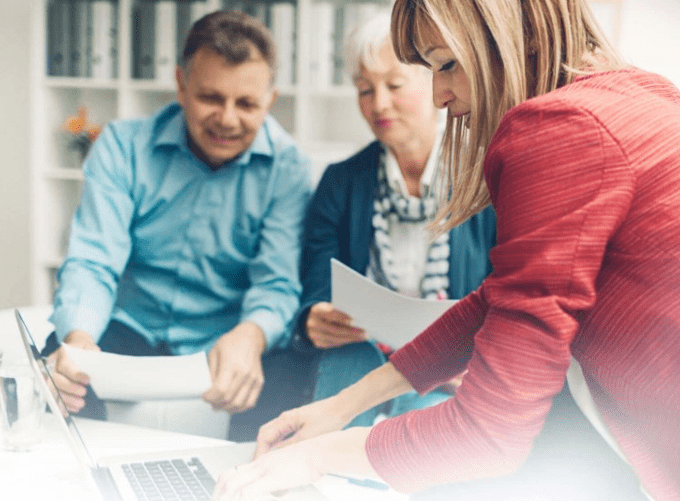 The team at Harris Financial Advisors uses an organized and structured financial management process to ensure the most productive and personalized financial plan for their clients. Harris Financial Advisors ranks as one of the top Los Angeles advisory firms due to their commitment to putting the client’s needs ahead of their own and working as an informed partner to help clients make well-planned, strategic decisions. Their services for Women in Transition and pioneering approach to serving the financial needs of women are particularly notable, making the firm a very valuable resource for women in southern California and solidifying Harris Financial Advisors’ 5-star rating. HCR Wealth Advisors brings 30 years of real-world experience to their financial planning firm in Los Angeles. Their specialty is in business and insurance services as well as providing independent financial planning and wealth management and consulting. They have a team of highly skilled independent thinkers and advisors that are focused on serving the best interests of the client at all times. HCR remains fully engaged in your process, empowering you to make risk-controlled financial decisions that will help you get to where you’re going. While HCR Wealth Advisors doesn’t specifically mention whether they are a fee-only or fee-based wealth manager in Los Angeles, they note that HCR doesn’t accept commissions from mutual fund companies or money managers and doesn’t use proprietary products. HCR’s team of top-rated Los Angles financial advisors understand that life is full of transitions as well as financial markets that can be unpredictable. Their aim is to help clients be ready to face and overcome all of life’s challenges with a sound financial strategy. HCR Wealth Advisors makes planning your future financial strategy simple with their 7-Step process to guide you through each important facet of financial planning. If you’re looking for the best financial advisor in Los Angeles that is there to advise you and not to sell you, then HCR Wealth Advisors is an excellent choice to partner with in 2019. They have a large variety of financial services along with a comprehensive planning process, and a keen understanding of how life transitions can impact financial health, earning the firm an overall 5-star rating. Miracle Mile Advisors is an independent registered financial advisor founded by ex-Wall Street advisors wanting to create something better. They specialize in providing sophisticated wealth management to high-net-worth families, individuals, and businesses in the Los Angeles area. Their financial advisors all have an average of over 18 years of experience advising some of the wealthiest families in the country. Miracle Mile is a fee-based wealth management firm in Los Angeles, but their fiduciary commitment to always put their client’s best interest first is why they’re included in our ranking of the top LA financial advisors. Miracle Mile Advisors has innovated several investing processes to increase the value to your investments while decreasing your overall risk. Here are the key steps of this Los Angeles wealth management firm’s approach. Your financial advisor team analyzes your current portfolio using a holistic approach that looks at fees, performance, and risk. This allows Miracle Mile Advisors to pinpoint excessive fees that may be eating into your returns and recommend a specific and customized allocation of your assets. These Los Angeles financial advisors will build a personalized portfolio using low cost, tax-efficient index funds that include necessary asset classes to bring you optimal returns. Your portfolio is then managed proactively. Clients receive transparent reporting through quarterly performance reports that are customized just for them. This LA financial advisor also has a goal to be in constant contact with their clients and meet with them at least quarterly either in person or by phone to ensure your investments stay on course during any life changes. Through capital preservation and monitoring of market conditions, this Los Angeles financial advisory firm applies principals such as risk management and liquidity when managing your portfolio. Miracle Mile Advisors tailors their plans to each client because they feel that no two plans should be exactly alike, because they should reflect the specific lifestyle and financial goals of each person. While this LA wealth manager does adhere to a fee-based structure, Miracle Advisors takes an independent approach as a fiduciary, which maintains the best interest of the client, removing doubts about any potential conflicts of interest. With an independent mindset, personalized planning services, and a low-risk investment approach, Miracle Mile Advisors has earned their place as one of the top financial advisors in Los Angeles to consider partnering with this year. Navigoe traces its roots back to 1993 and predecessor, Leonard Wealth Management. This fee-only Los Angeles wealth management firm offers an education-based process designed to help you understand all financial decisions without using jargon. As a true fiduciary, Navigoe works to objectively navigate each client successfully through choppy financial waters, no matter what challenges may arise. Their name comes from the Latin term for sailing. Choosing the right financial advisor in Los Angeles can be a process. 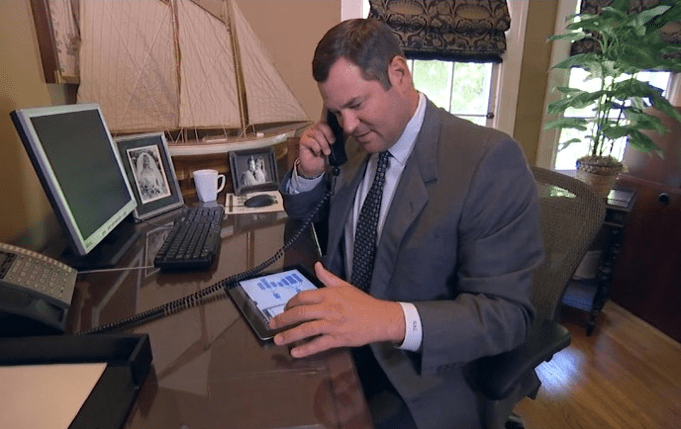 Navigoe believes it’s vital that each client and their financial advisor are on the same page, so they set aside 3-5 meetings to gain an in-depth understanding of each client’s financial goals and needs. Navigoe represents the highest standards of ethics and best practices among Los Angeles financial planning firms. Their fee-only pricing structure instills trust that clients will receive completely unbiased advice, free from any conflicts of interest from commissions or referral income. As fiduciary, the Los Angeles financial advisors at Navigoe are legally bound to put their clients’ best interests ahead of all else, providing a foundation of trust and transparency between advisors and their clients. While Navigoe may not be the largest Los Angeles Wealth Management firm, they count among their staff, Roxie “Dog in Chief”, which exemplifies their welcoming and friendly approach. This firm is truly client-centric, which can be seen in their processes and practices, making them a competitive choice among Los Angeles financial advisors. The firm serves a wide variety of clients all with diverse financial needs and goals. In addition to a fiduciary commitment and a fee-only philosophy, Navigoe also brings decades of experience and an enlightening education-based process, earning the firm a 5-star rating overall. Westmount Asset Management, LLC has enjoyed witnessing the direct impact of their work in their clients’ lives for over 28+ years. While serving both institutional and private clients, this financial advisory firm in Los Angeles blends sophisticated institutional asset management strategies with a robust set of consulting and planning services. The best investment advice has a context to understand all the facets of someone’s life and the investment marketplace. The reason for the “dig deep” philosophy of this wealth management firm in Los Angeles is to understand each client’s needs, wants, and dreams so they can design a financial plan is relevant to their lives. As one of the best financial advisors in Los Angeles that has earned a 5-star rating, Westmount takes the time to really get to know their clients and their financial needs and dreams, so they can give them a personalized and comprehensive financial roadmap for the future. Although the firm does not explicitly state whether they are fee-only or fee-based, according to their ADV, each financial advisor does not receive economic benefits from any person or entity outside of the firm, meaning that Westmount is likely a fee-only Los Angeles financial advisory firm. L&S Advisors has been offering investment services to families, individuals, advisors, and institutions for over 30 years. They seek the choices each client needs to meet their own personal financial goals, including equity and fixed income strategies and multi-strategy blends with custom portfolios. This top-rated Los Angeles wealth management firm is an independent fee-only Registered Investment Advisor (RIA) that focuses solely on investment management, rather than comprehensive financial planning. 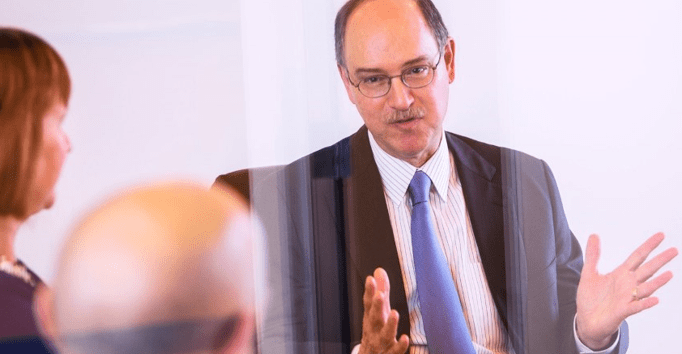 As a client of L&S Advisors, you can take advantage of carefully curated approaches designed to maximize your return and protect you from unnecessary risk. No matter what your personal preference, this LA wealth management firm offers several strategies and multi-strategy blends to meet your needs. Each of the following areas includes their own strategy subsets. L&S Guardian Equity Strategies: For growth through concentrated tactical participation and a strong focus on capital preservation. L&S Explorer Equity Strategies: For growth through broad market diversification. L&S Sprinter Equity Strategies: For growth through consistent market participation. L&S Fixed Income Strategies: Primary focus on yield. Customized Strategies: Customized portfolios to meet client-specific investment goals. L&S puts risk management as their top priority and it takes a front seat in each and every investment strategy, portfolio, and client relationship. L&S Risk Pulse™ is its proprietary, real-time evaluation of overall market risk. This tool provides a deep quantitative and qualitative analysis that weighs market risks and helps this LA wealth management firm safeguard client portfolios and minimize downside exposure. If you’re seeking a trusted financial partner to implement expert investment strategies and portfolio allocation, L&S Advisors is a thoughtful choice for wealth management in Los Angeles. They use multiple strategies to personalize clients’ investments for the best outcomes and lowest risk. However, potential clients should be aware that L&S Advisors is solely an investment manager, that does not offer additional financial services like several of the other Los Angeles wealth management firms on our list, ultimately limiting the firm in comparison, which is why they scored a 3-star rating. Those who need other services outside of portfolio management—like budgeting, cash flow allocation, tax planning, or retirement planning—may want to seek out another Los Angeles financial planner instead. When choosing a financial advisor in Los Angeles, there are several criteria you want to consider. Such as the clientele they cater to and whether they work with all levels of client net-worth. Certain LA financial advisors work with a more select group of high-net-worth or institutional clients, while others do business independently and are more accessible. Fee structure and costs are also another important comparison point between Los Angeles-based financial advisors. You’ll want to be aware of whether they are fee-based, fee-only, and how they structure client payments and fees. To ensure a productive initial meeting with a potential LA wealth management firm, it’s a good idea to make a list of all your investable assets, financial goals for the future, and any specific upcoming life events, such as a new home or education planning. We hope that our list of top-rated financial advisors in Los Angeles has given you a helpful guide while planning for the future. We feel that any of these firms would be excellent ones to consider for financial guidance in 2019.